“In the beginning God created the heavens and the earth….” (Genesis 1). God said, “Let there be light…. In the Biblical account of creation, everything came into existence because God spoke creation into being, God said….. Words have power! 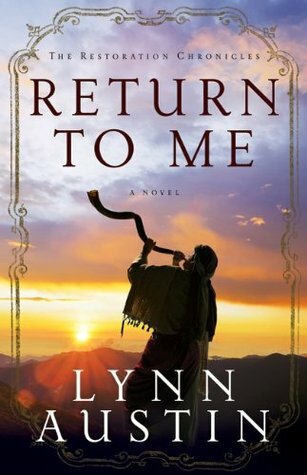 At the moment I’m enjoying reading ‘Return to Me‘, a Biblical historical novel by Lynn Austin. “The tongue has the power of life and death, and those who love it will eat its fruit”. The spoken word has the power of life and death… Many lives have been ruined because of verbal abuse as the person who receives the abuse often believes that to be the truth, rather than that they are precious and made in the image of God. And the consequence is rather sad because our behavior always matches what we believe about ourselves. We have the awesome power to create life in others. “If you declare with your mouth, ‘Jesus is Lord,’ and believe in your heart that God raised him from the dead, you will be saved”. Did you realize that your spoken word had so much power? Click here for more Bible references on the power of spoken word.